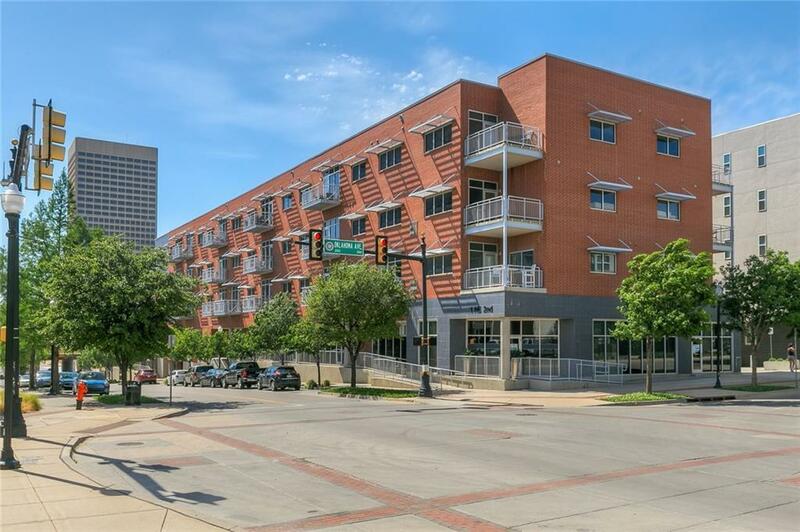 Top Floor CONDO in Downtown OKC, close to State Capitol, Innovation District, Ball Games, Bricktown, Business District, & Deep Duce. 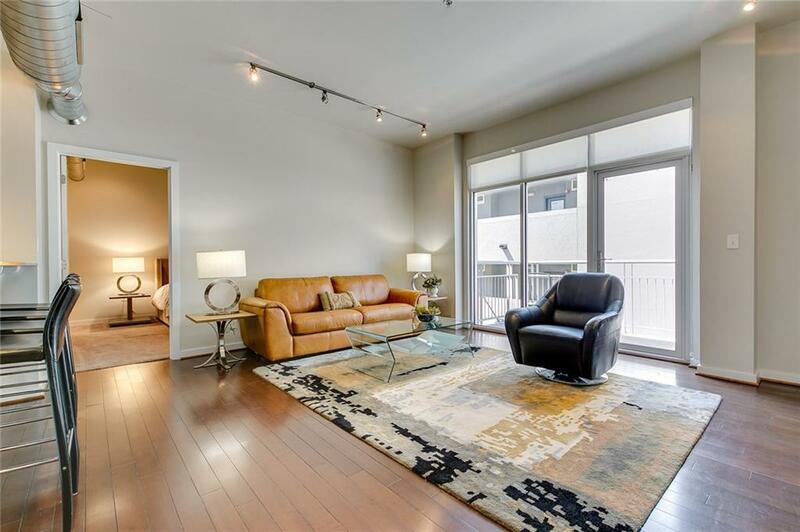 Exit elevator: LEFT to Condo or to the RIGHT to the Rooftop Club/Lounge & Terrace. 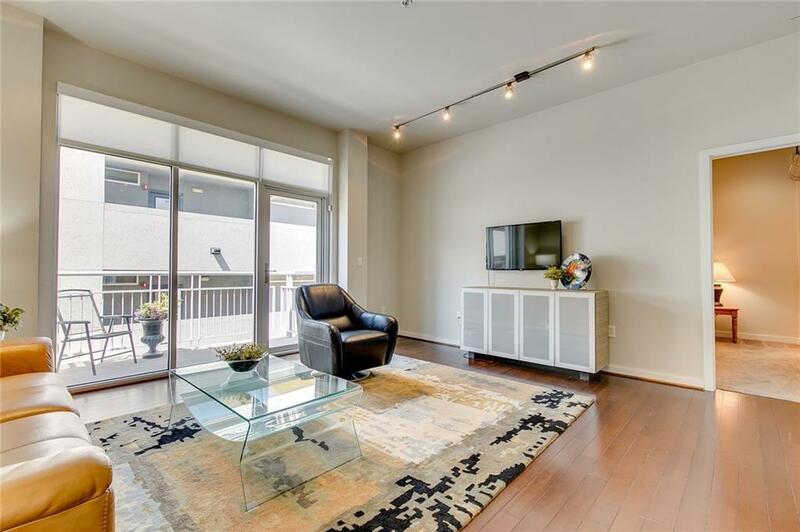 16x14 Living Room with wood flooring & wall of north facing windows. 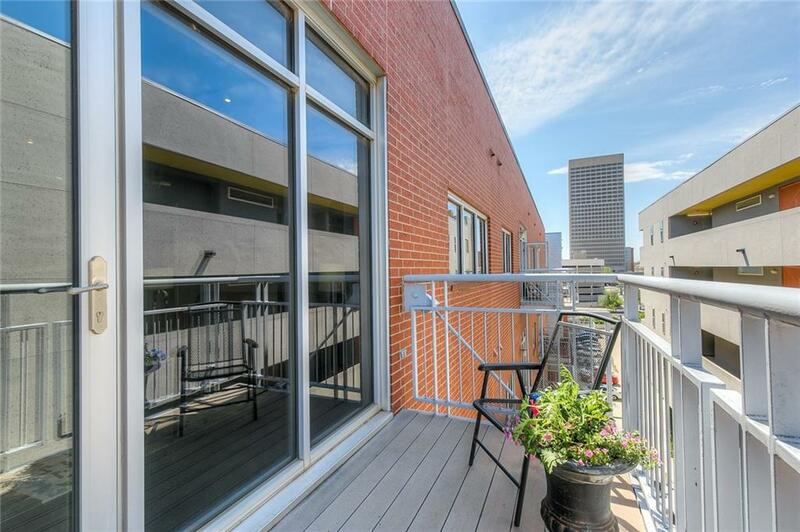 Living Room accesses open balcony on the 5th Floor, with western view of Downtown. The Kitchen has Electric range, Refrigerator, stackable Washer/Dryer, Breakfast bar with room for 4 and open to Living area. Master Retreat 16x11 with ensuite tub & shower, and walk-in closet. 2nd Bedroom 15x11 has private Bath with Shower and walk-in closet. Secure Parking Garage with 2 assigned spaces. Secure storage area in basement. HOA includes Water and garbage. Offered by Linda Shingleton of Keller Williams Realty Elite. Listing provided courtesy of Linda Shingleton of Keller Williams Realty Elite.